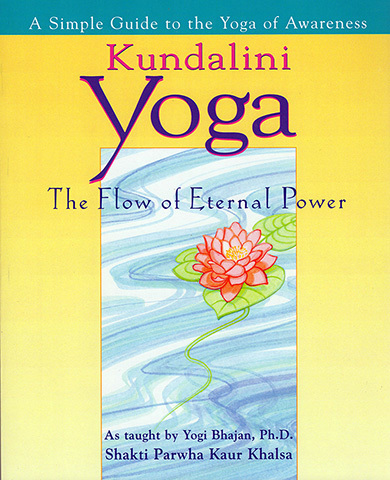 Kundalini Yoga - The Flow of Eternal Power, by Shakti Parwha Kaur is a definitive guide to Kundalini Yoga - an ancient "sacred science" which was first revealed to the West by the master, Yogi Bhajan. Surprisingly simple to learn, Kundalini Yoga when practiced regularly can strengthen the nervous system, balance the glandular system and harness the energy not only of our bodies, but of our minds and emotions too. Shakti Parwha Kaur Khalsa, author, the “Mother of 3HO” was Yogi Bhajan’s first student in the United States. She went on to make a huge contribution to the growth of Kundalini Yoga not just in the US but world-wide – her books have been read by many and countless beginners have benefited greatly from the teaching techniques which she helped pioneer.